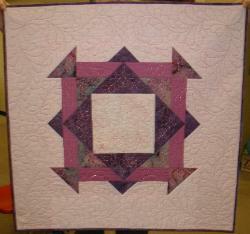 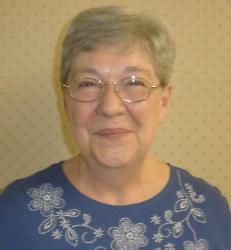 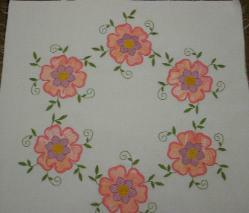 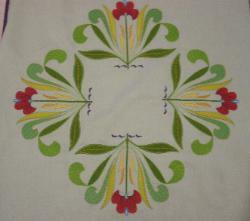 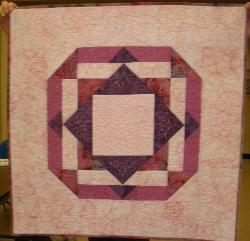 "What I learned at QwM"
Joanne Winn, teacher and pattern designer. 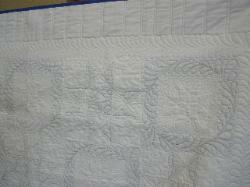 and she teaches classes online at Quilt University. 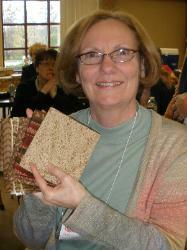 Here are some of the beautiful samples she brought along. 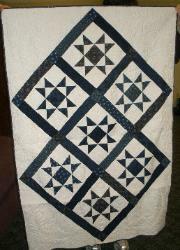 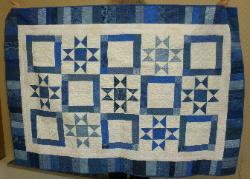 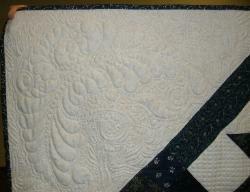 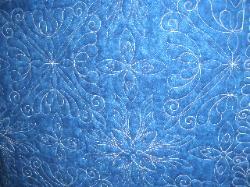 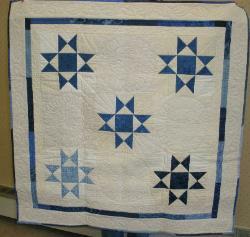 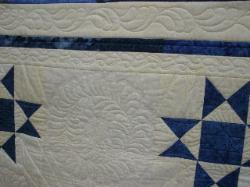 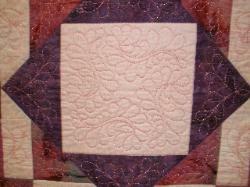 beautiful quilt named True Blue Ohio. 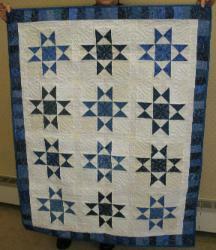 and they were raffle off to OLAQ members at today's meeting.